Yes. I am Celebrant to the Stars, because all my couples are absolute Stars! I officiated at the Civil Union for Shonn and Gary, 4 years ago. It was a lovely surprise when they recontacted me and told me they wanted to ‘marry’ on their 4th anniversary. 4 years ago they wore suits and tails, but this time they wanted something more fun and flamboyant. Cue red velvet pimp suits, complete with zebra trim. 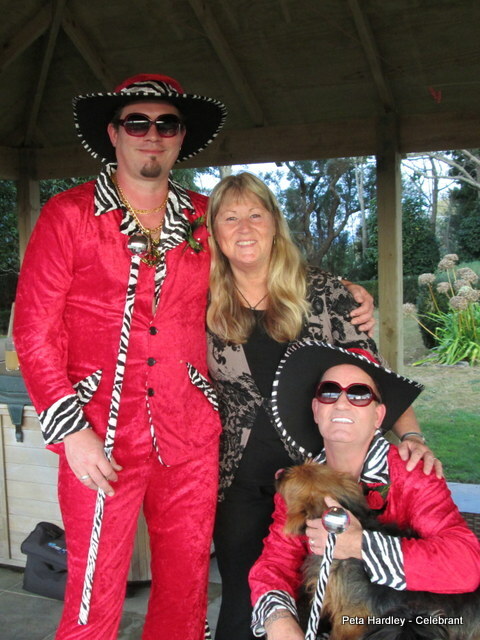 Complete with an intimate number of guests and their precious dogs, they married at their lovely Waiuku home. 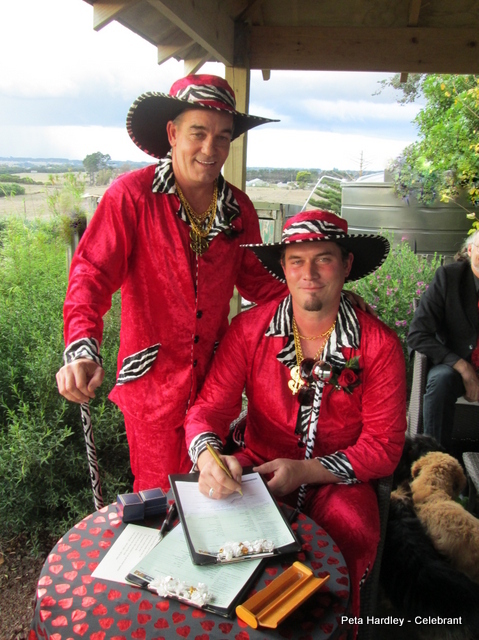 Who said weddings can’t be a little outrageous and a bit of whatever you fancy? 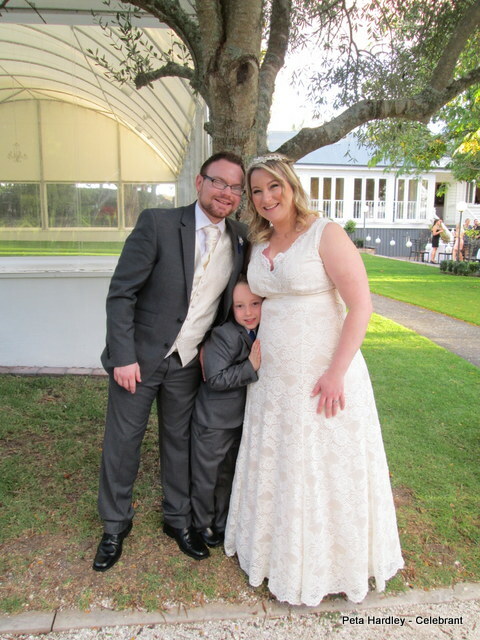 It was a fabulous day for a fabulous couple! 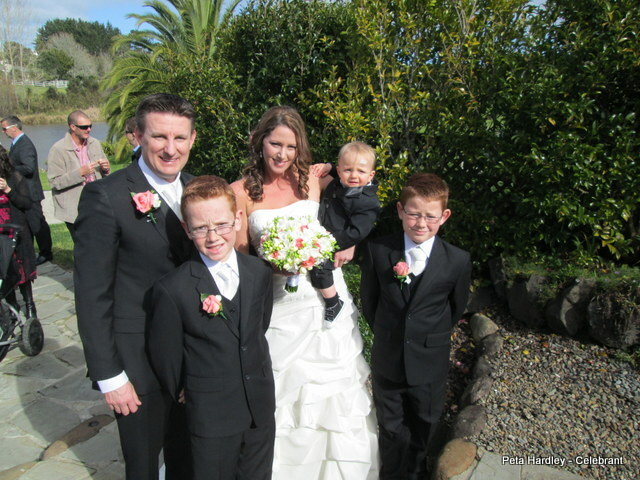 Sam and Donal travelled from England to share their big day at the very elegant Allely Estate in Kumeu. Although they were simply gorgeous, I have to say that Donal’s son Daniel (who was one of their witnesses) very nearly stole the show. What a gracious beautiful couple they are… and a lovely family. It was the luck of the Irish for Emma and Jason who missed a cyclone by a matter of a few hours. (Jason happens to be Irish). 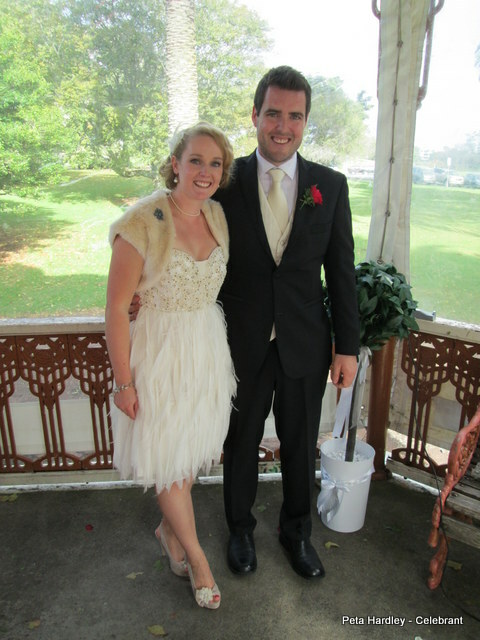 They married at the iconic band rotunda in Auckland Domain. 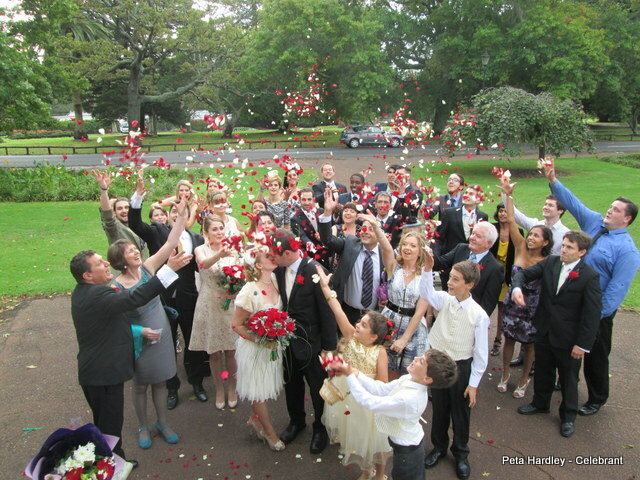 Their nerve regarding the weather held and they were rewarded with sunshine and only a shower of rose petals from their guests. A great day to be sure to be sure.